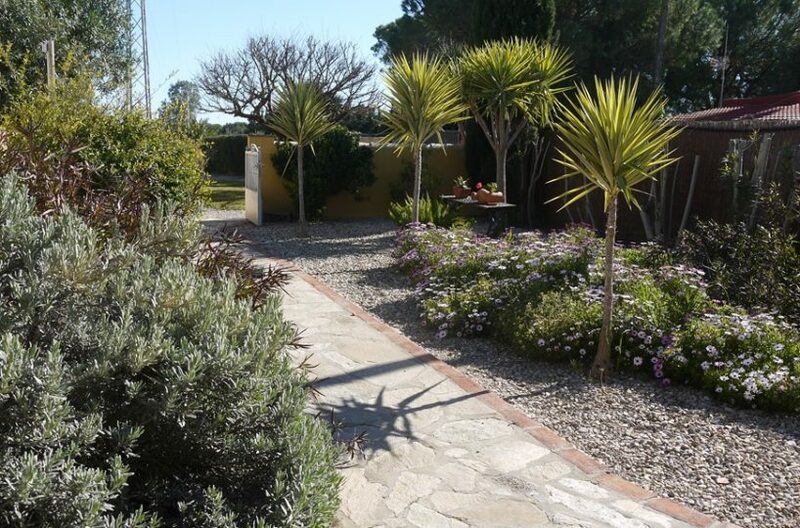 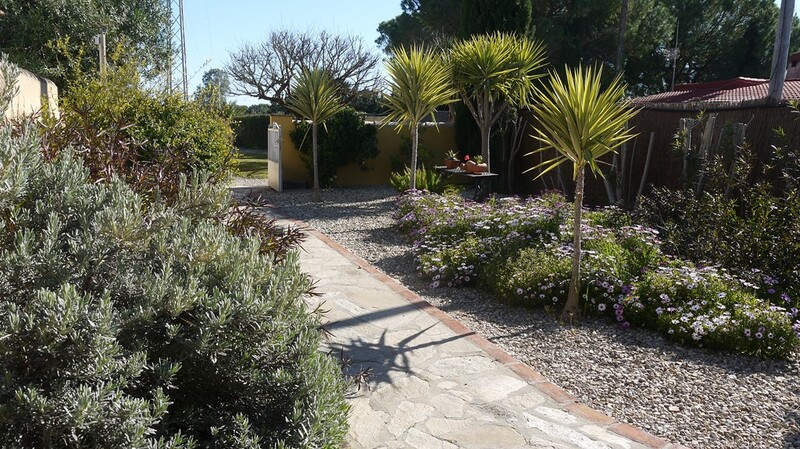 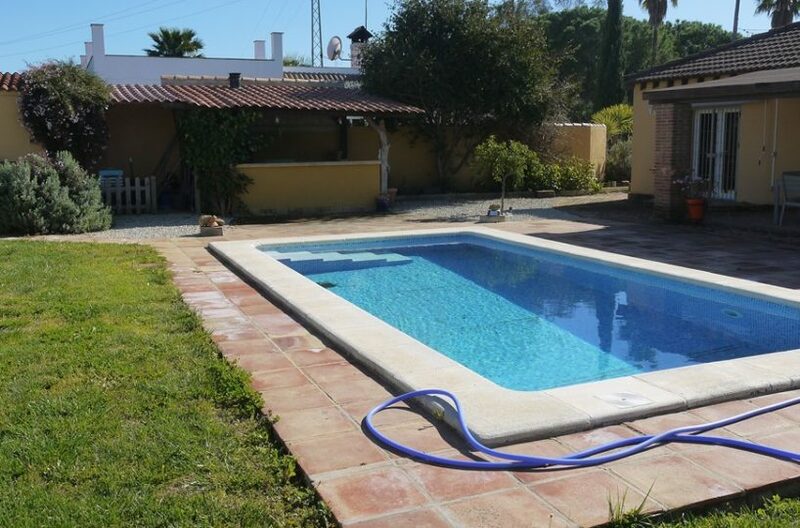 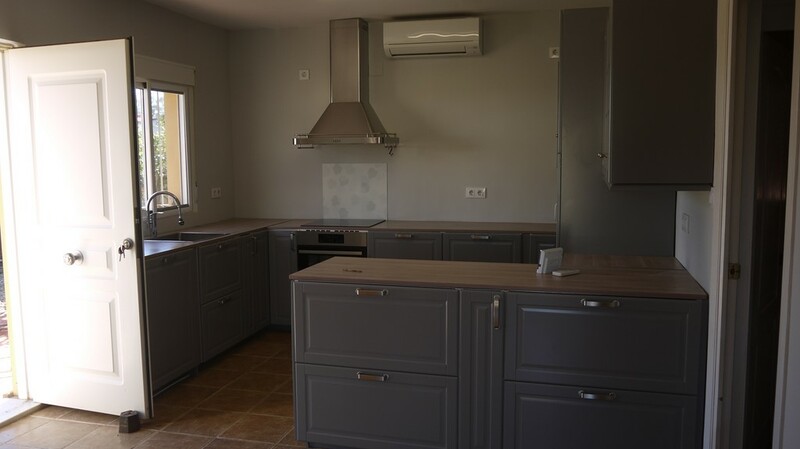 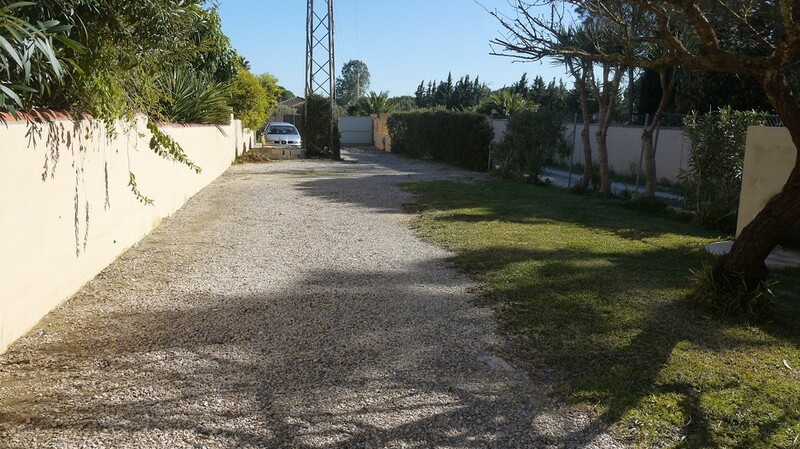 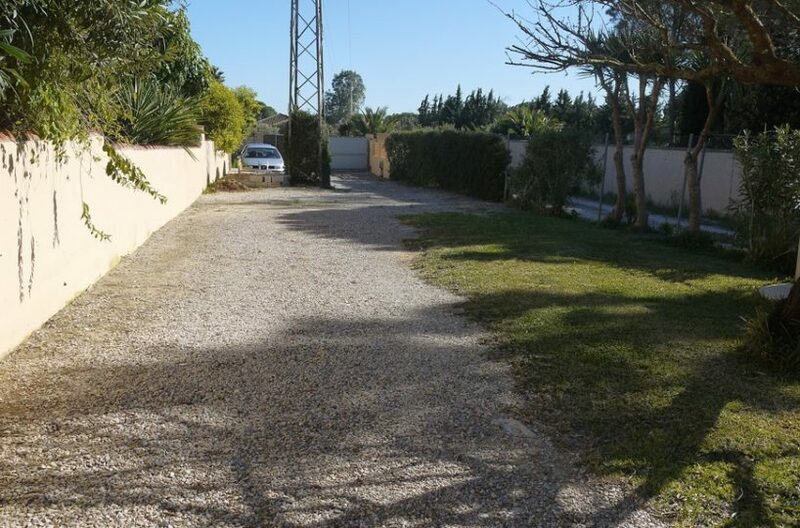 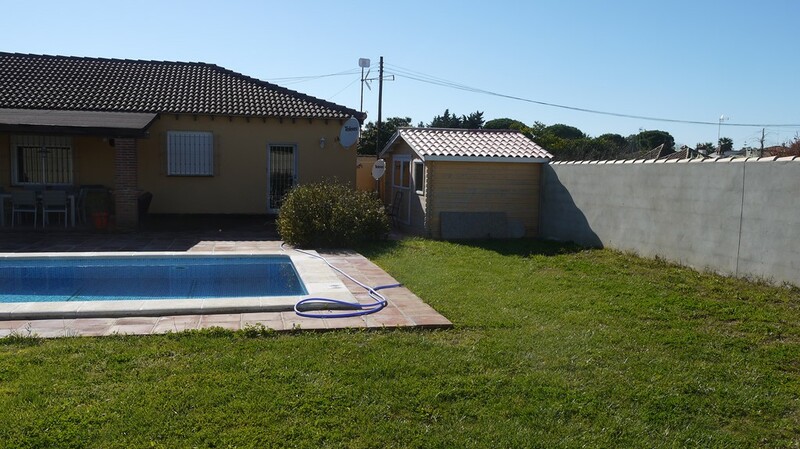 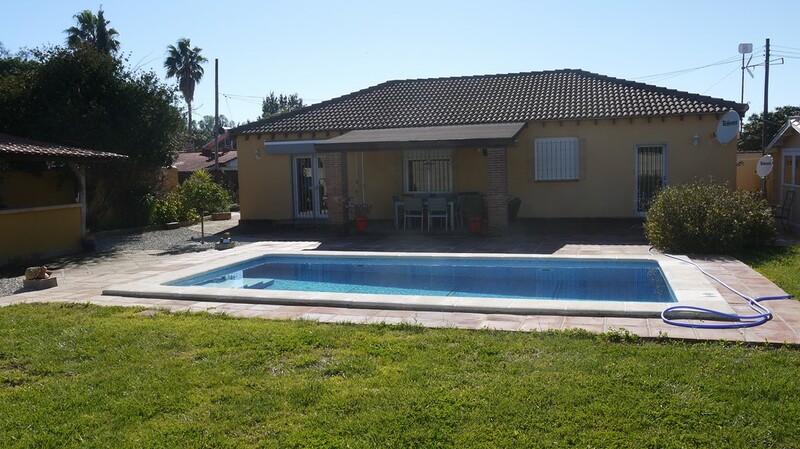 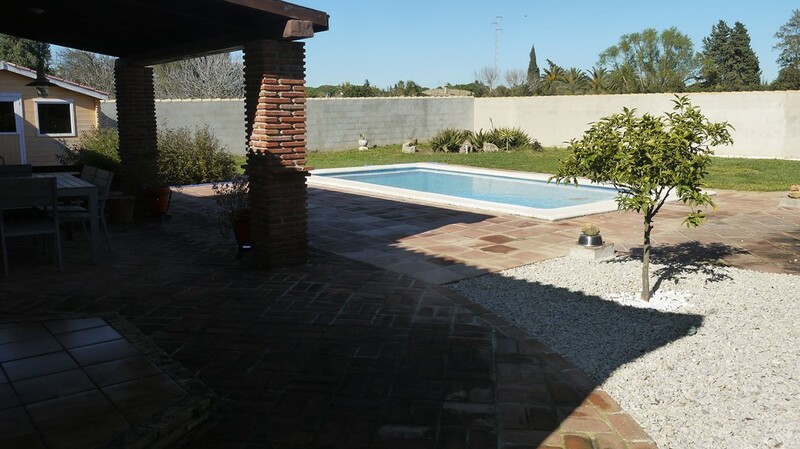 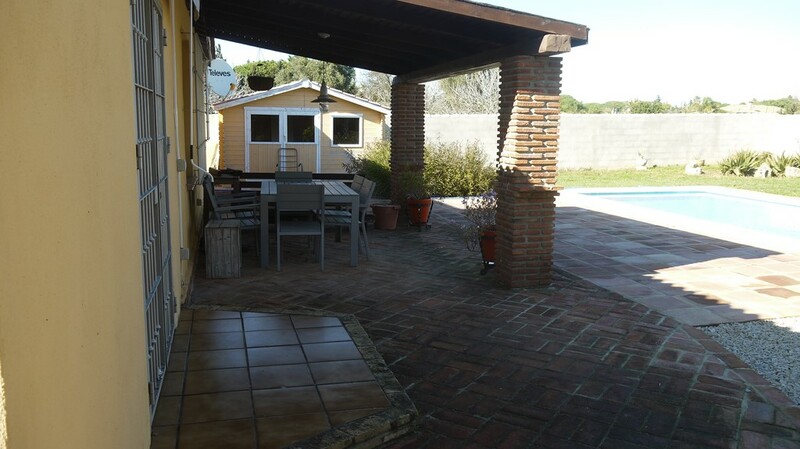 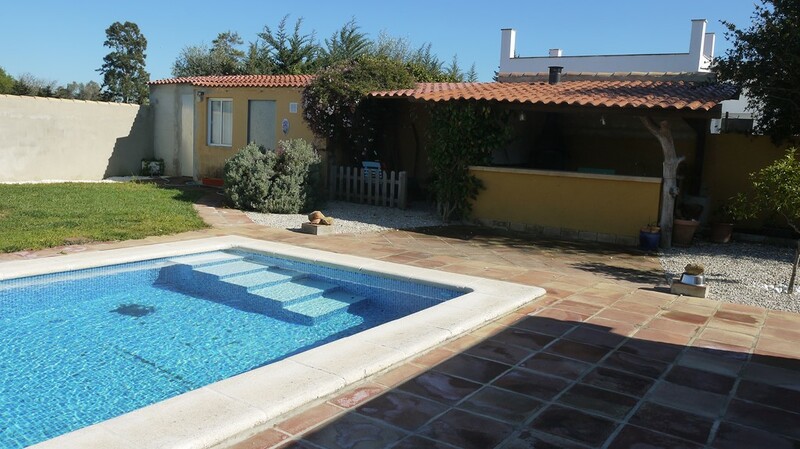 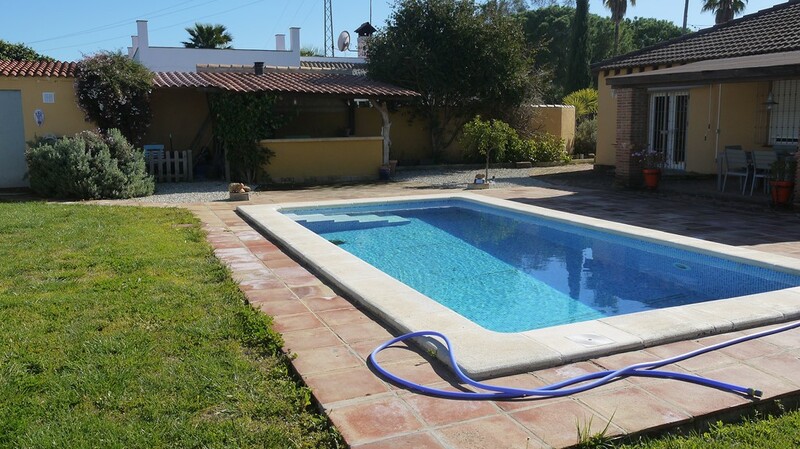 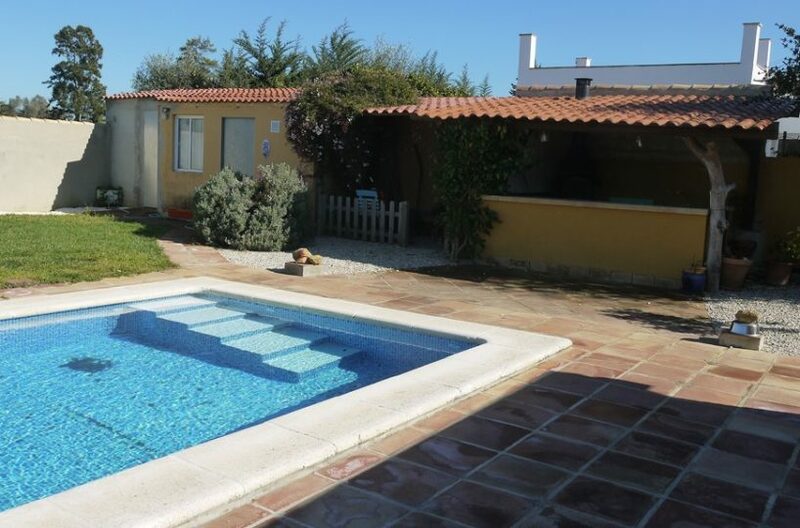 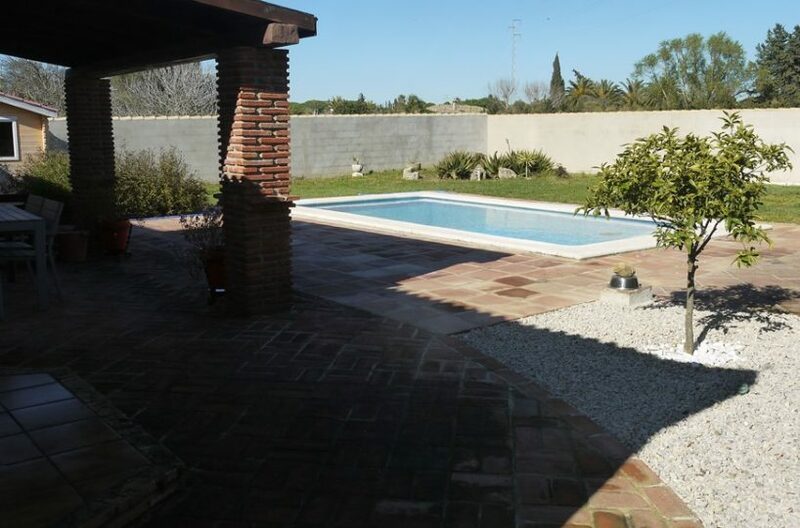 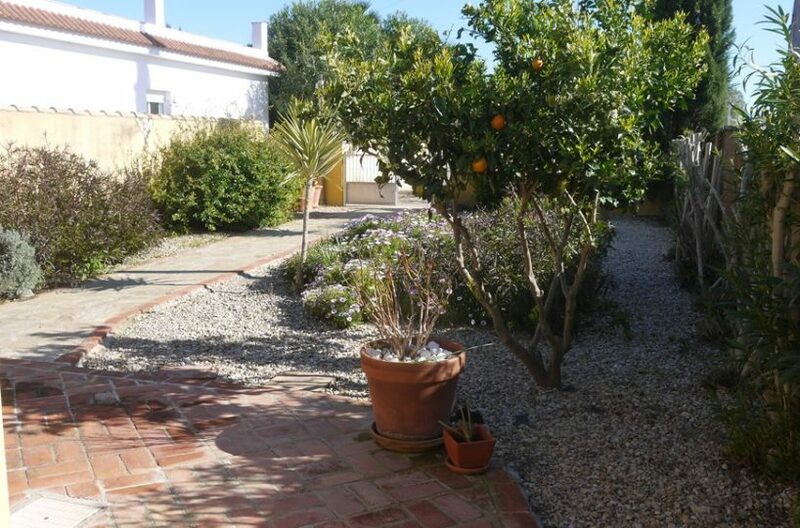 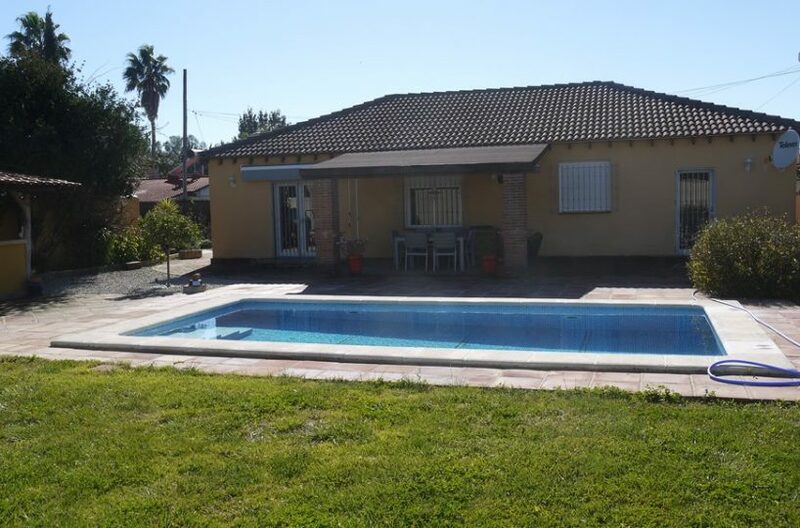 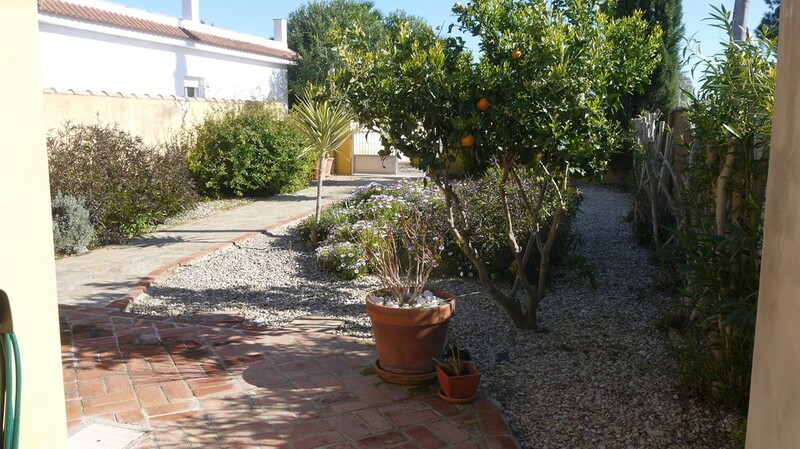 Immaculate villa in the area of Campano in Chiclana de la Frontera, The property is a very well built one story property set in a 550 m2 plot with a good sized swimming pool located in well looked after lawned gardens. 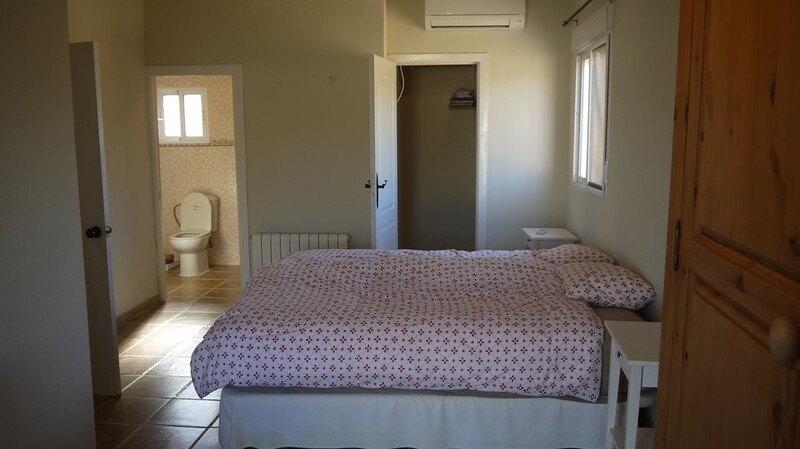 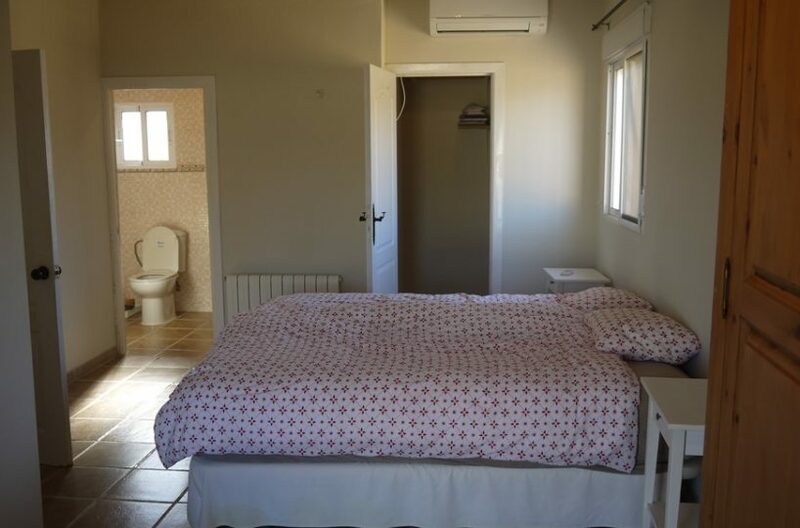 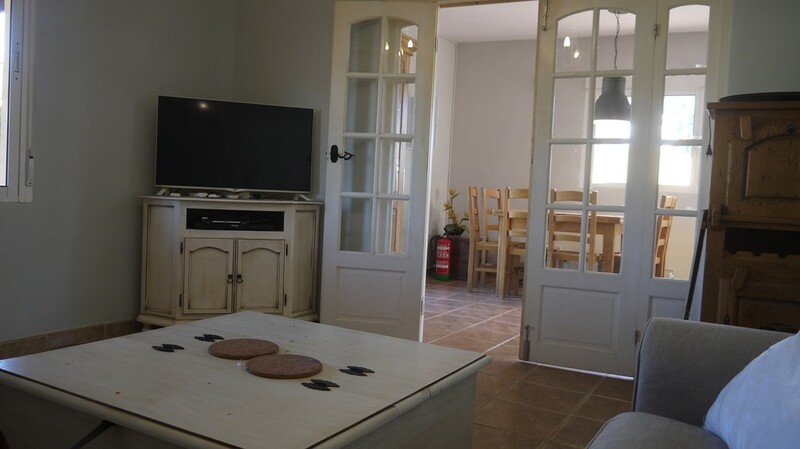 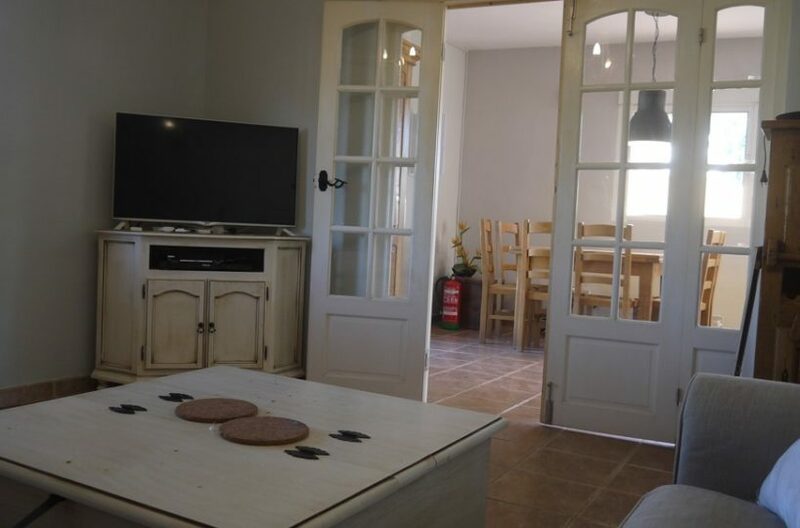 The house itself has two Bedrooms and Two bathrooms, one of the bedrooms has an adjoining bathroom the other guest bedroom has access to the main guest bathroom, a living room that optionaly joins onto the dinning room through double doors and a large fitted kitchen. 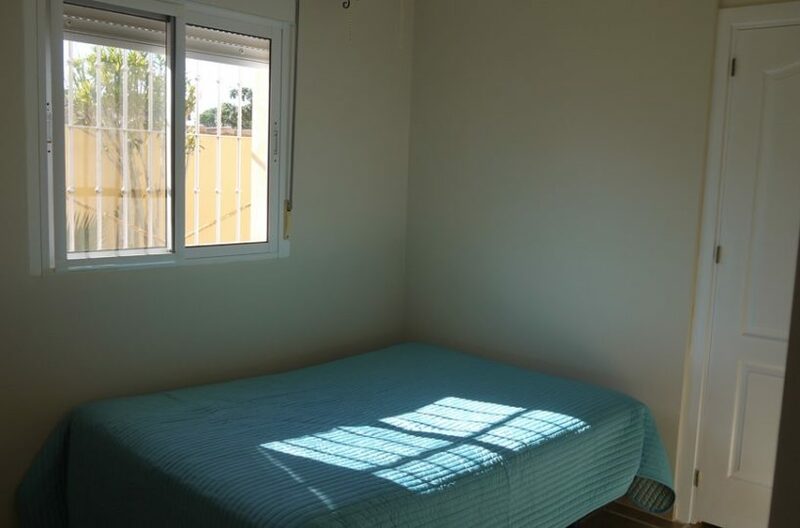 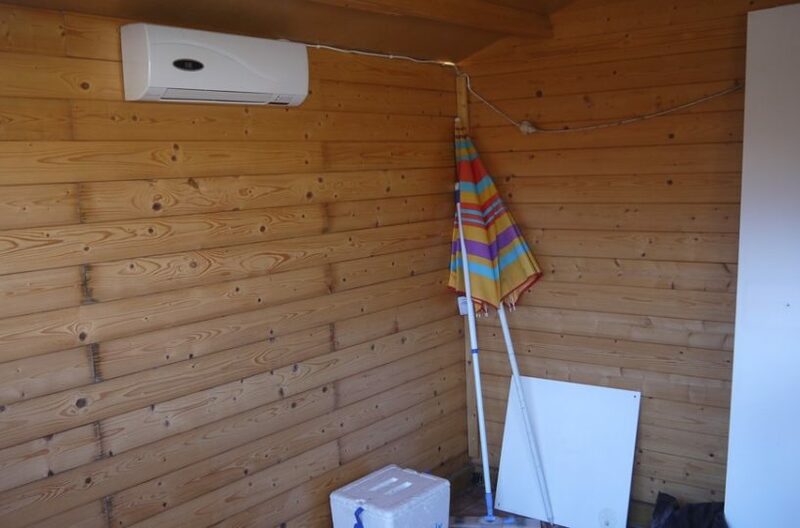 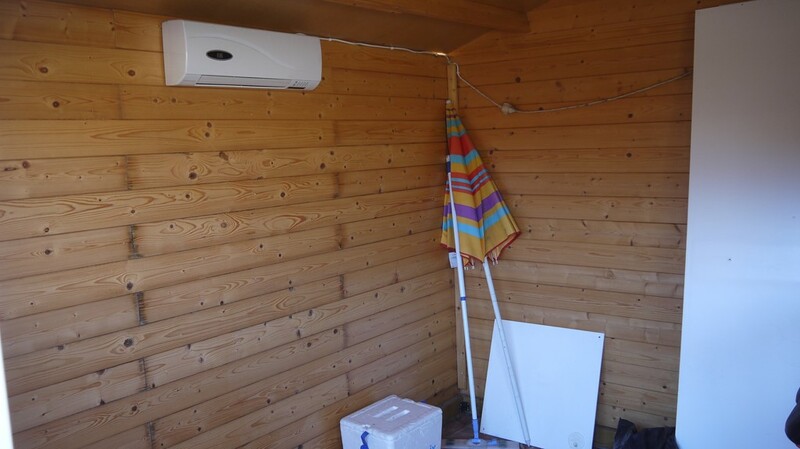 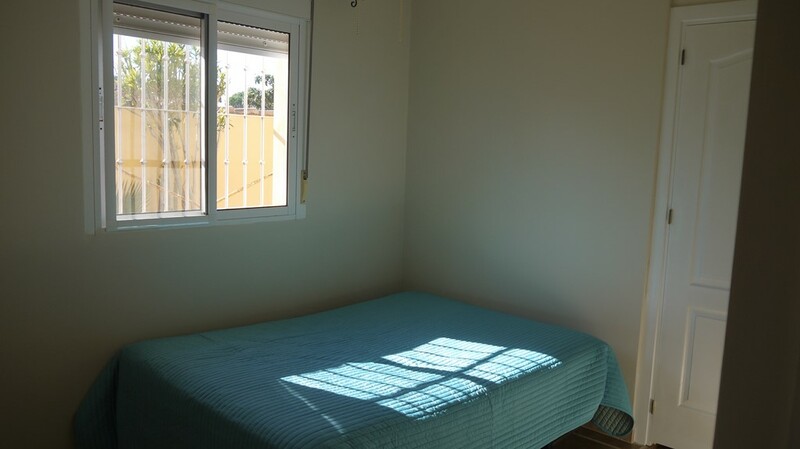 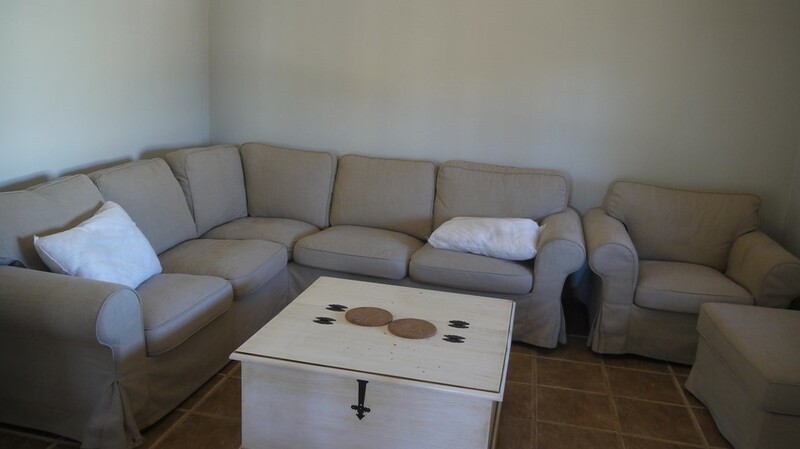 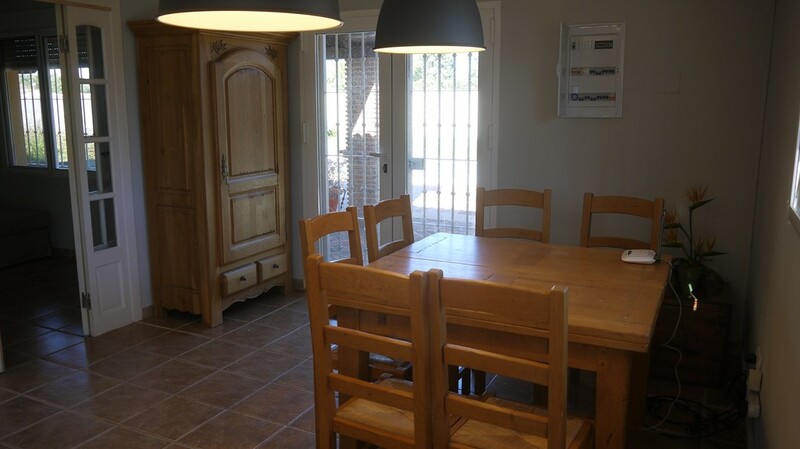 The property also has airconditioning throughout. 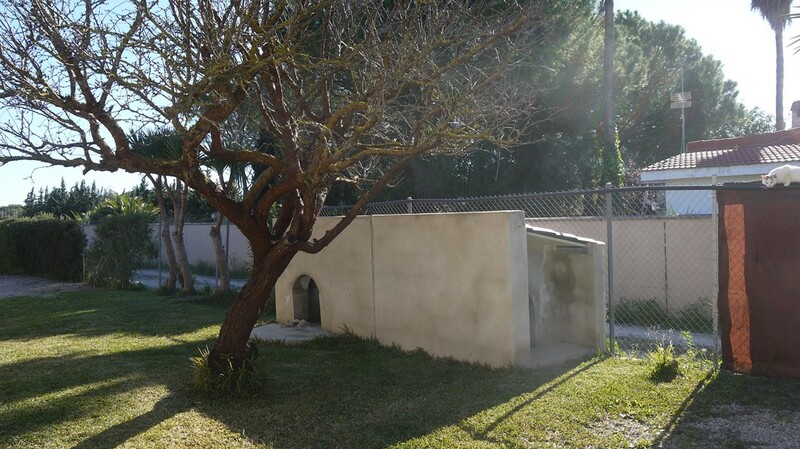 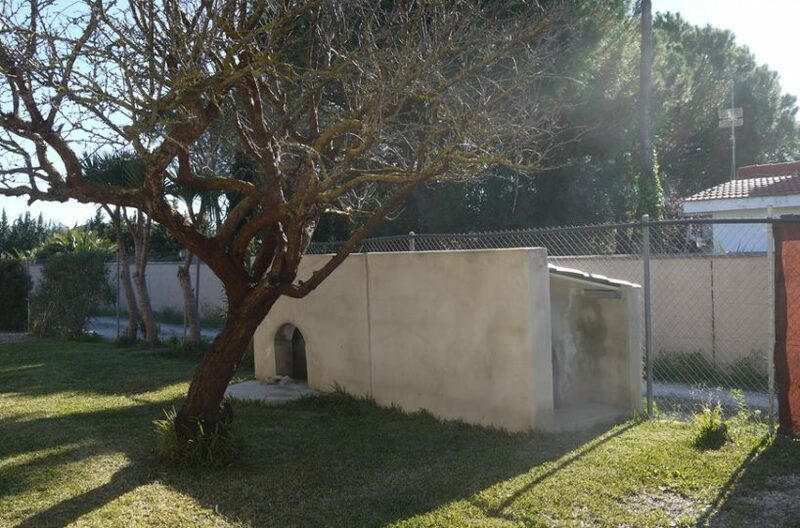 There is also a utility building for tools and the pool depuration system, a wooden storage shed for extra storage that could also double up as an office spare bedroom for overflow of guests and a dog kennel for multiple dogs. 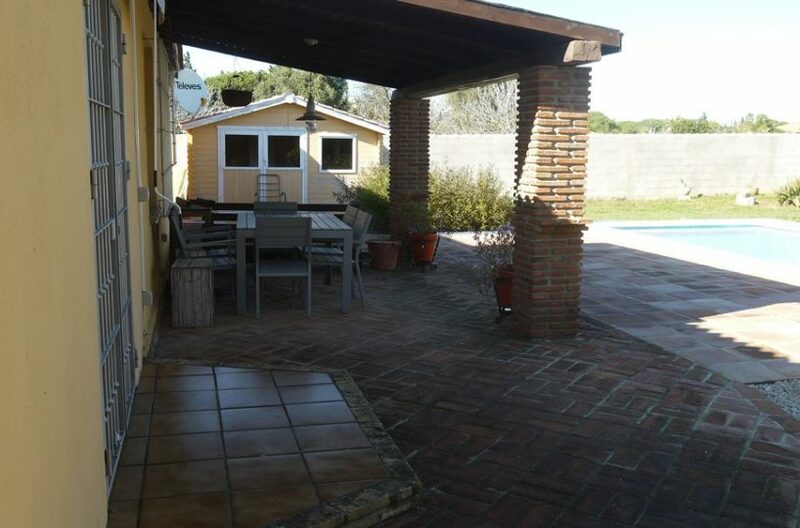 there is a bbq area near the pool. 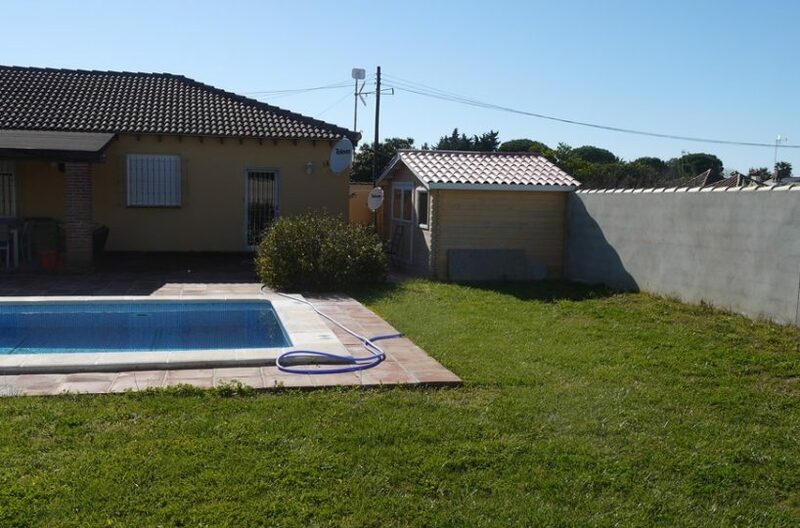 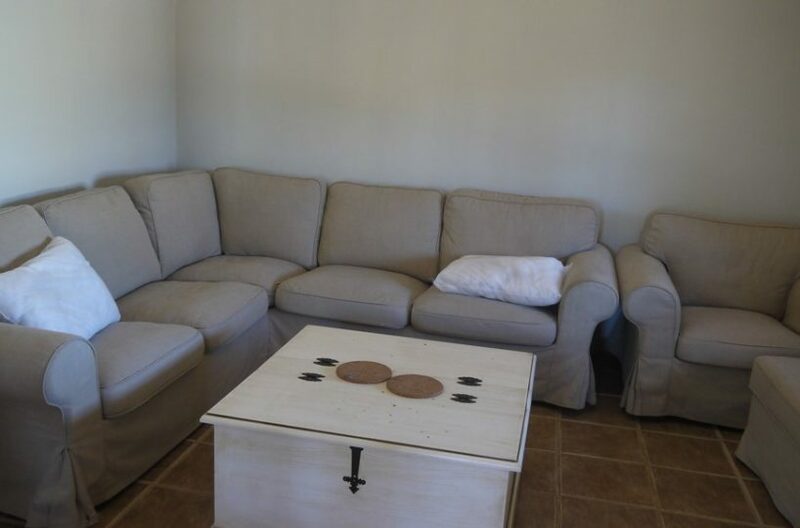 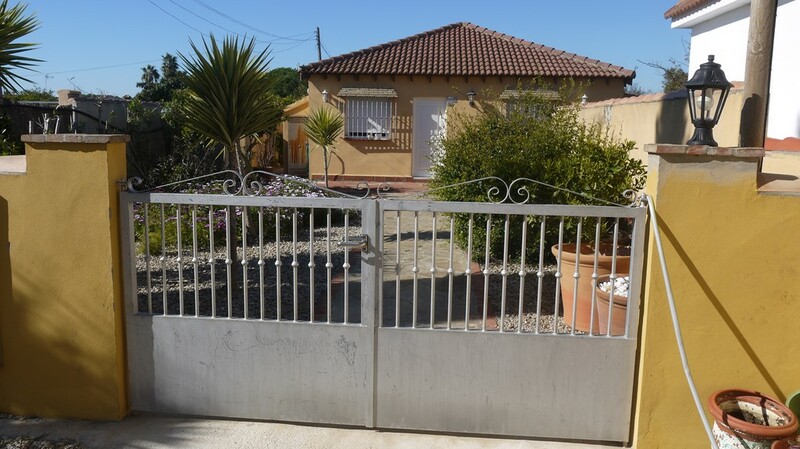 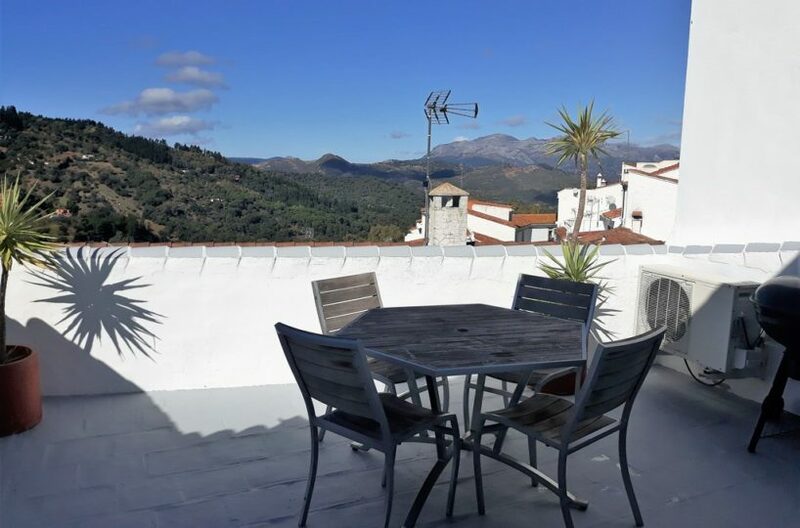 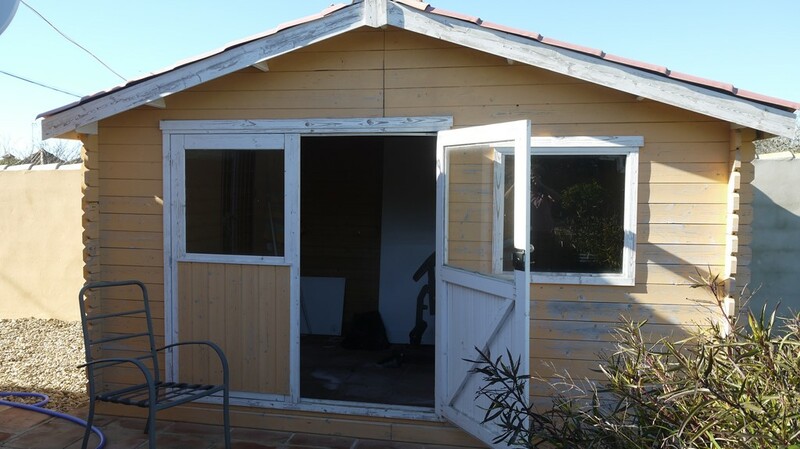 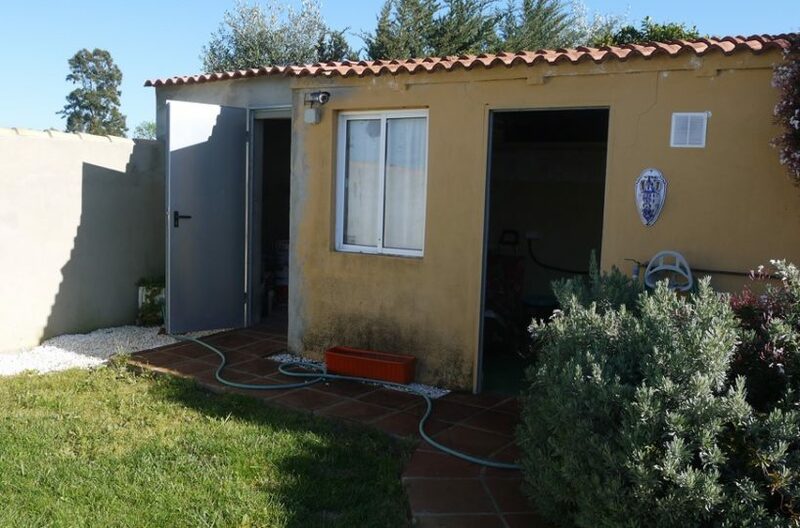 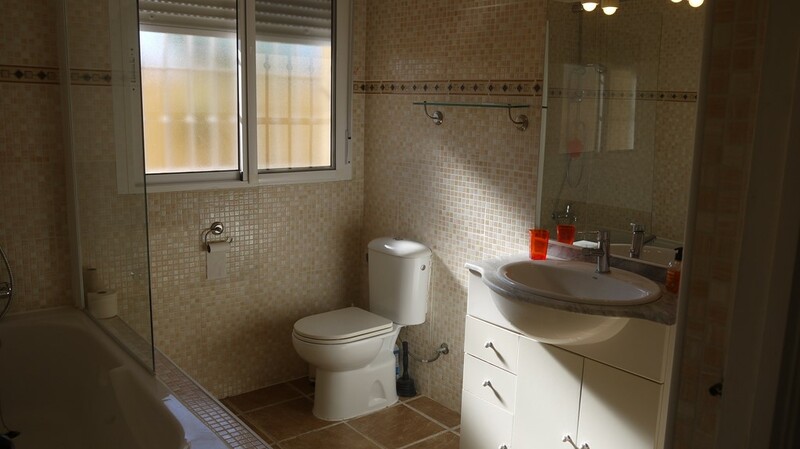 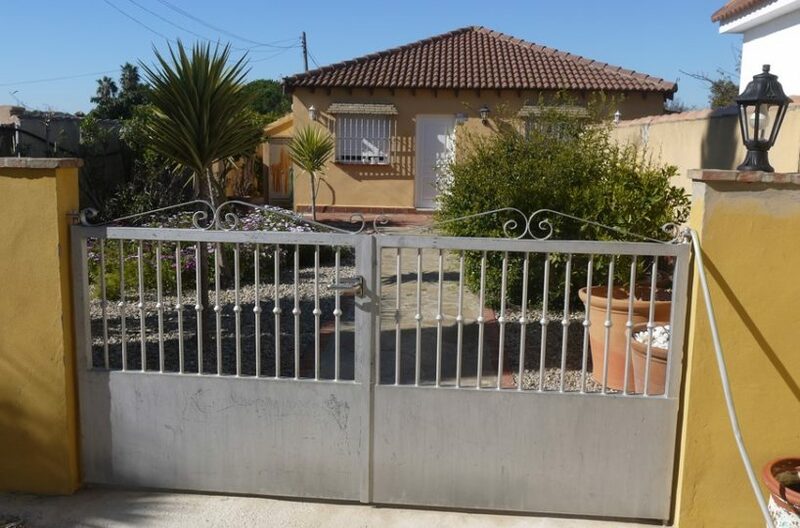 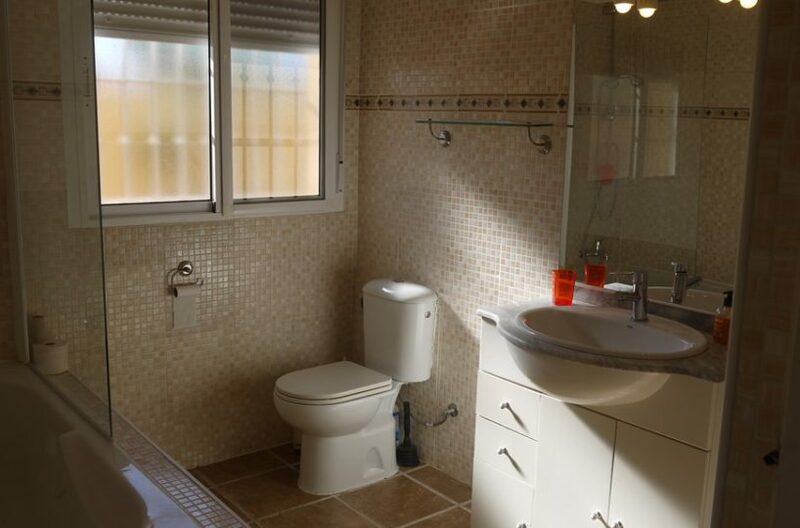 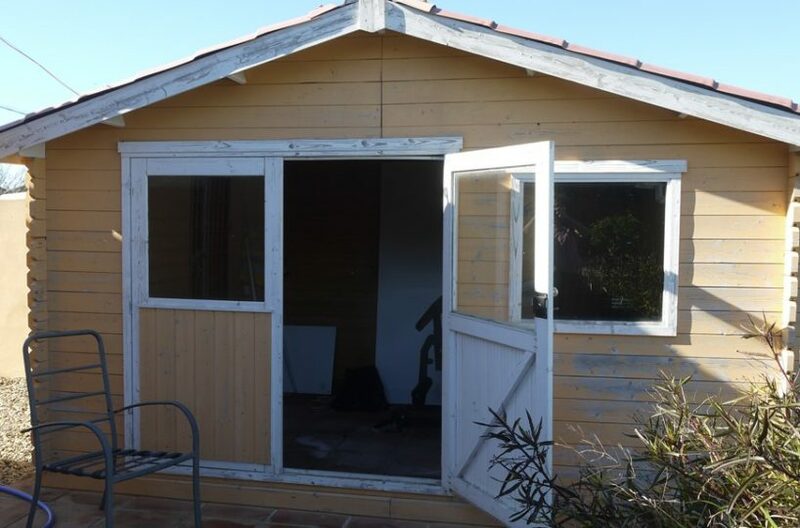 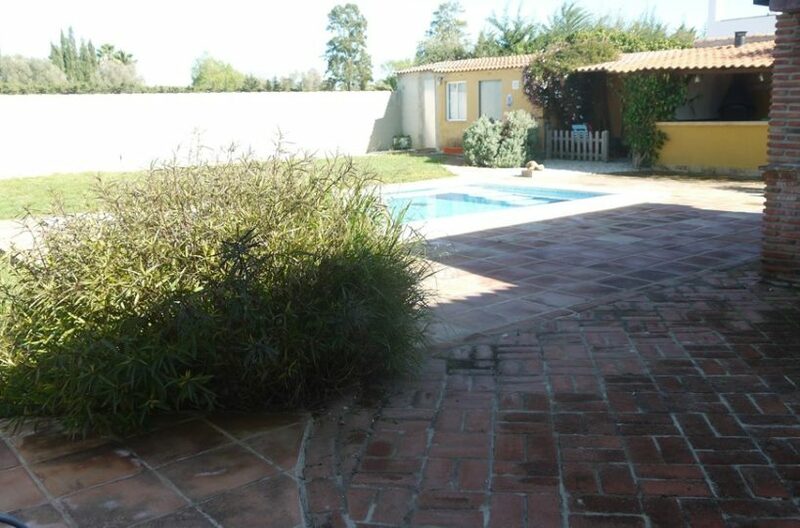 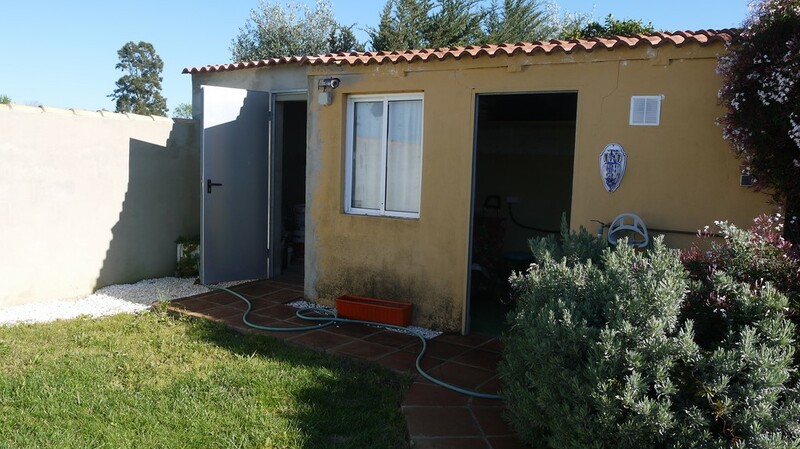 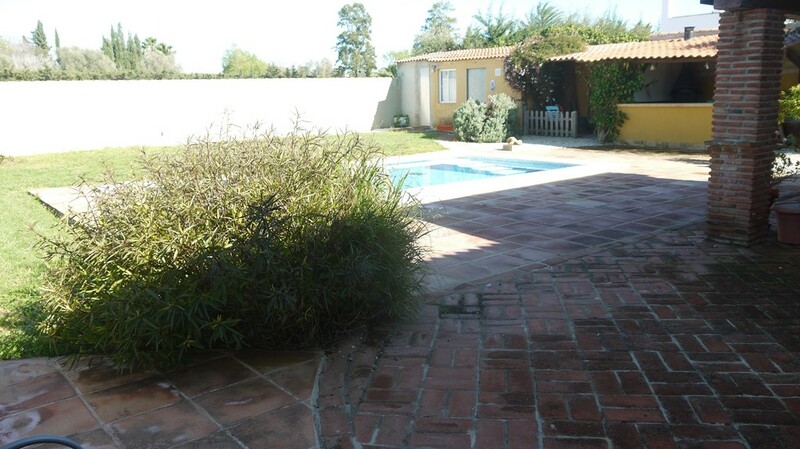 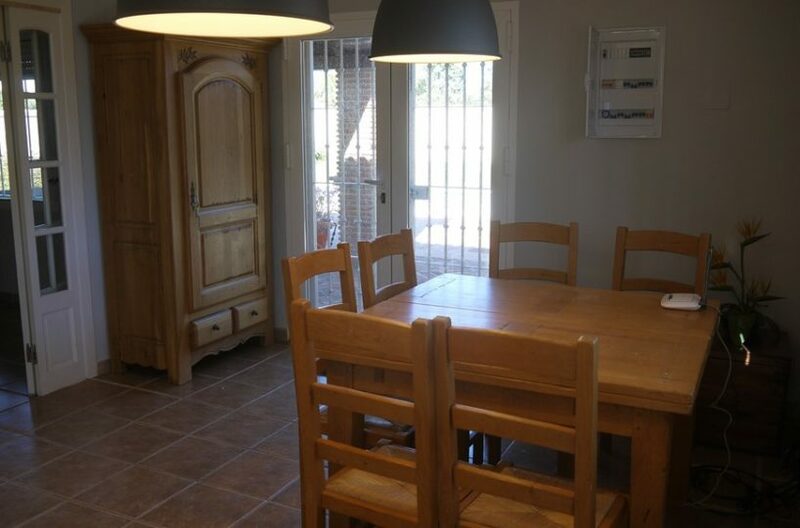 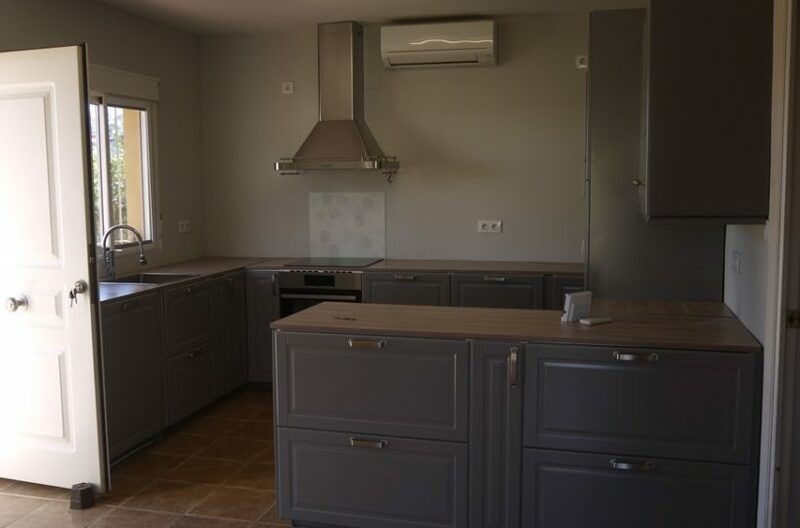 The property is in great condition ready to be moved into and an excellent price for a house in this location with a good sized swimming pool.